“I am interviewing some extraordinary talented and brilliant people and I’m very happy that we will pick somebody who will be outstanding for many years to come,” Trump said. Fox News has learned that Trump has completed the interview process after speaking with six judges: Appeals court judges Brett Kavanaugh, Raymond Kethledge, Amy Coney Barrett, Amul Thapar, Joan Larsen and Thomas Hardiman. The interviews involved seven conversations in all – Trump talked to one candidate twice. 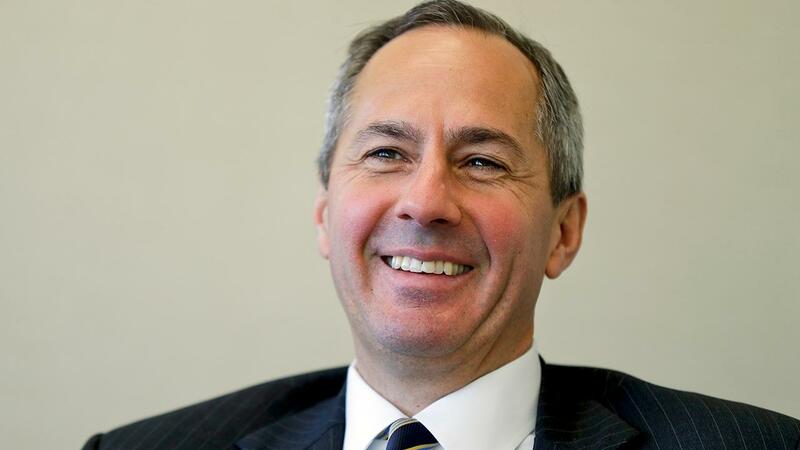 Judge Thomas Hardiman may have more humble personal roots than other finalists, but his legal record is just as strong. His supporters note he was the first in his family to attend college, and drove a taxi to finance his law school education. The fact that he did not attend an Ivy League school (unlike every current member of the high court and the late Justice Antonin Scalia) may appeal to Trump&apos;s stated populist sentiments. Some commentators compare Hardiman favorably to Justice Samuel Alito in terms of personality and jurisprudence. Both served on the 3rd Circuit U.S. Court of Appeals. The issues the Massachusetts native has tackled include gun rights. In a 2016 ruling, he backed a decision that said non-violent felons enjoyed the right to carry a weapon. "Their crimes of conviction were nonviolent and that their personal circumstances are distinguishable from those of persons who do not enjoy Second Amendment rights because of their demonstrated proclivity for violence," Hardiman wrote, showing the measured, non-flashy language that is his trademark. He also dissented in a court ruling upholding a New Jersey law that mandated potential gun owners show a "justifiable need" to carry a handgun in public. He said the constitutional right "to keep and bear arms" extends beyond the home for self-protection. One more thing might appeal to Trump: respect for the separation of powers. "I have no hesitation in applying a law regardless of what I might think about it," Hardiman said during his 2006 Senate confirmation. "I think any good judge recognizes his or her place in our constitutional government, and that place is not to upset the will of the people as expressed through their elected representatives." 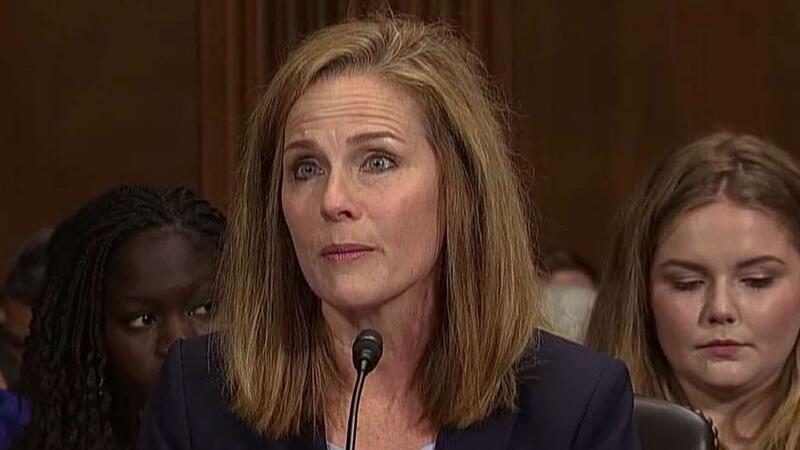 Amy Coney Barrett received a shocking introduction to Washington politics when she faced off with Democratic senators last year at her confirmation hearing for a seat on the 7th Circuit Court of Appeals. Sen. Dianne Feinstein, D-Calif., told her bluntly, "The dogma lives loudly within you, and that&apos;s of concern." Barrett’s response was measured but on point: "If you&apos;re asking whether I take my Catholic faith seriously, I do, though I would stress that my personal church affiliation or my religious belief would not bear on the discharge of my duties as a judge." It is the 46-year-old&apos;s perceived views on the intersection of faith and the law that have drawn praise from conservatives – and concern among progressives. Like the late justice, Barrett has a large family – she&apos;s the mother of seven children. Barrett has talked about the challenges of juggling a busy home life with a career as a law school professor. But it was her successful political “audition” to serve as a judge that – sources say – impressed the White House. Much of the focus was on abortion rights. Barrett’s response on the Roe v. Wade landmark ruling: “I’m sure every nominee before you would have personal beliefs about that precedent and many others. But all nominees are united in their belief that what they think about a precedent should not bear on how they will decide cases." She was more pragmatic two years ago – just days before the presidential election – about the chances that Roe v. Wade would be overturned in coming years: "I don&apos;t think the core case -- Roe&apos;s holding that women have a right to abortion -- I don&apos;t think that will change, but I think the question of whether people can get late-term abortions -- how many restrictions can be put on clinics -- I don&apos;t think that will change." The federal appeals court here in Washington is seen as a professional stepping-stone to the Supreme Court. Three current justices (John Roberts, Ruth Bader Ginsburg and Clarence Thomas) served on that bench before joining the high court, as did Scalia. Now Judge Brett Kavanaugh is poised to make the leap, though if history is any guide, he could face an especially tough Senate confirmation. It is the image that may cement – or sink – the Supreme Court aspirations of Kavanaugh. His elevation to the federal appeals court was celebrated with a Rose Garden swearing-in by a fellow Catholic who&apos;s now retiring from the bench, Justice Anthony Kennedy, for whom Kavanaugh served as a law clerk in 1993. Front and center: His former boss, President George W. Bush, the man who nominated him. "I chose Brett because of the force of his mind, the breadth of his experience and the strength of his character,” said Bush. The former loyal aide to Bush served as a White House lawyer and staff secretary. As an aide, Kavanaugh traveled in top D.C. legal and political circles, earning the confidence of power players like Karl Rove. His detractors this week began circulating a photo of Rove with his arms around Kavanaugh, to highlight the close Bush ties, which some conservatives see as a concern. And concern from the left. Kavanaugh’s judicial nomination came after two years of contentious delay tactics by Democrats – who claimed Kavanaugh was overly partisan. Sources said at the time they believed opposition from the left was fueled by concerns that Kavanaugh could one day have a seat on the Supreme Court. "I consider myself a Republican, I am a supporter of President Bush,” Kavanaugh said at his 2004 hearing. Those close ties may now create concern from the current president -- given Trump&apos;s past rhetorical run-ins with the Bushes. Trump in 2008 seemed to back impeaching President Bush for the Iraq war -- which Trump said would be a quote "wonderful thing." And candidate Trump in 2016 had repeated verbal clashes during the primaries with rival Jeb Bush -- the former Florida governor. As for Kavanaugh, he brings a stellar resume -- law school at Yale, and a stint as a top deputy to Special Prosecutor Ken Starr&apos;s probe of Bill Clinton that led to the president&apos;s impeachment. On the bench, the 53-year-old has been a reliable conservative on his court -- reining in dozens of administrative decisions of the Obama White House. But conservatives are at odds over whether a 2015 ruling on ObamaCare signaled his implicit support of the law. And there’s debate as to whether Kavanaugh would limit access to abortion — since he has never directly confronted the issue as a judge—and hasn’t said publicly whether he’d overturn Roe v. Wade. But just days ago, he dissented in the appeals court decision that allowed amn undocumented pregnant teen to get an abortion. Despite his sold conservative credentials, there is some concern among Trump supporters who fear that Kavanaugh is too much the "D.C. insider," having been born, raised and thriving in the Washington "swamp." Solidifying his insider status, Kavanaugh married President Bush&apos;s personal secretary, the former Ashley Estes. Justice Anthony Kennedy once told Fox News, "There&apos;s a loneliness" to the job of sitting on the bench-- the work consisting mostly of reading and writing by yourself in chambers. A top finalist to the fill the Kennedy seat has taken that to heart. Judge Raymond Kethledge co-authored a book last year called "Lead Yourself First: Inspiring Leadership Through Solitude." In it the 51-year-old said, "A leader who silences the din not only around her mind, but inside it, can then hear the delicate voice of intuition, which may have already made connections that her conscious mind has not. And a leader who is aware of his weaknesses can guard against them." Kethlege says he enjoys working in his northern Michigan cabin -- by himself and without an Internet connection. Nevertheless, Kethledge has maintained strong ties to the conservative legal movement. 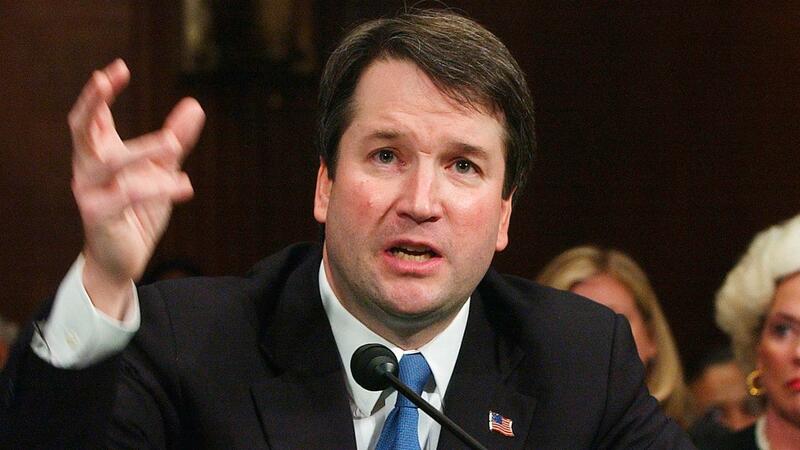 He was a Kennedy law clerk in 1997 and later worked as chief counsel for then Sen. Spencer Abraham, R-Mich.
After starting his own small law firm, President Bush tapped him a for a seat on the 6th Circuit U.S. Court of Appeals, where-- unlike other high-profile nominees-- Kethledge faced little attention, and little opposition. On the bench, his conservative record has been solid, but absent any big blockbuster cases. He has ruled to restrict unions collecting dues from its public sector members; ruled in favor of the Tea Party, which claimed political bias by the IRS; and ruled the police do not need a warrant to search a suspect&apos;s cell phone history records. The Supreme Court overturned that decision two weeks ago. Off the bench, Kethledge enjoys hunting and fishing. His supporters compare him favorably to Justice Neil Gorsuch, also an avid outdoorsman. Judge Joan Larsen attracted national attention in 2016, when she was asked to speak at a memorial service for the late Justice Antonin Scalia. At the time, the 49-year-old was a justice on the Michigan Supreme Court, and had clerked for the conservative icon in 1994. In her remarks, Larsen spoke eloquently of her former boss as a buoyant warrior for his conservative jurisprudence. "His wit was sharp, and he delighted in testing it against anyone who was foolish enough to try," she said. "What better preparation for any of us, male or female, than to have matched wits with the justice? With each thrust and parry, we got sharper. What an incomparable gift to a young lawyer." Months later, she appeared on then-candidate Donald Trump&apos;s list of possible Supreme Court nominees. And after his election, the Michigan native was named to the 6th Circuit U.S. Court of Appeals. Her scant federal record has given some conservatives pause, whether she would be a reliable right-leaning voice. But her backers say a look at her record on the Michigan high court bench should ease any concerns. During her 2017 Senate confirmation, Larsen was careful to avoid promising how she would vote if asked to overturn the Roe v. Wade precedent guaranteeing the right to abortion. But senators cited a 2000 book review where she wrote, "In the case of abortion, the constitutional right was first formally articulated by the Supreme Court itself, not by the citizenry... The people think the Constitution guarantees a fundamental right to abortion because the Supreme Court told them that it does." When pressed, Larsen last year replied, "Both in my current role as a Justice of the Michigan Supreme Court and if confirmed to the Sixth Circuit, I will faithfully apply Roe, Casey, and any other binding precedent of the Supreme Court." If nominated to the high court, she would almost certainly face further scrutiny. Judge Amul Thapar would make history: the first Asian American to sit on the Supreme Court. He now sits on the U.S. Court of Appeals for the 6th Circuit, joining two other judges on that bench as current finalisits. Born in Detroit to immigrant parents from India, Thapar has had a varied professional career as a law professor, private attorney, the top federal prosecutor in eastern Kentucky, and a federal trial judge. President Trump took the unusual step of interviewing him in person last year for the vacant seat of the late Justice Antonin Scalia. Typically only appeals court judges get serious Supreme Court consideration. It was a sign Thapar was being groomed for bigger things. Sure enough, weeks after Neil Gorsuch was chosen Thapar became Trump&apos;s second judicial pick. And he has one very prominent supporter: his home state senator Mitch McConnell, who as majority leader just happens to be the man who would spearhead what promises to be a contentious confirmation. His best known case may have been sentencing a nun and two others who broke into the federal Oak Ridge nuclear power facility, posting anti-nuke messages. Thapar gave then 85-year-old Sister Megan Rice a nearly three-year prison sentence. But a federal appeals court later overturned the sabotage conviction. The opinion was written by Judge Raymond Kethledge, now a Thapar colleague on the 6th Circuit, and a Trump Supreme Court finalist. Fox News’ Alex Pappas, John Roberts and Judson Berger contributed to this report.